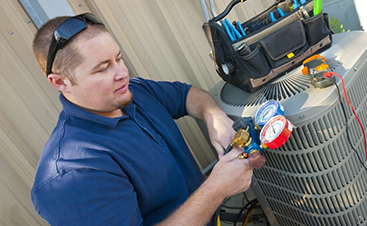 HVAC Service: Why Choose Our Heating and Cooling Company? Here at JC & JC HVAC Mechanical Contractors, we’re proud of the work we do here in Maryland. 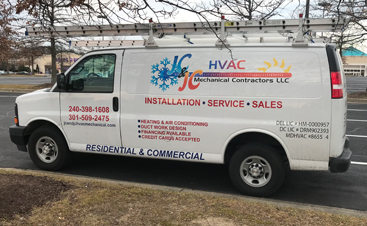 For years, our HVAC company has been helping people remain comfortable in their homes and businesses by providing them with fast and affordable heating and cooling repair, maintenance and installation. What can JC & JC HVAC Mechanical Contractors do for you? Here are some of the important HVAC services we provide to the people of Maryland. When the furnace or air conditioning goes out, problems arise that range from “slightly annoying” to “downright dangerous.” Unfortunately, HVAC units often go out during days with the most extreme temperatures, due to the added stress put on them and the number of times they have to turn on and off. If you are in need of heating or cooling repair, trust the experts at JC & JC HVAC Mechanical Contractors. We’ll make sure you get comfortable again. One of the best ways to avoid heating and cooling repair in the first place is to have regular HVAC Maintenance performed on your furnace or air conditioner. Regular tune-ups of your equipment not only make it more efficient (which saves money on fuel), but also gives the service technician an opportunity to check on parts that might soon fail. Having those parts replaced before a breakdown can help prevent even bigger problems in the future. If you are building a new home, you don’t want just anyone installing your HVAC system. After all, the heating and cooling components of a home are designed to be some of the longest-lived appliances available — they’ll certainly outlast anything you’ll get in your kitchen. 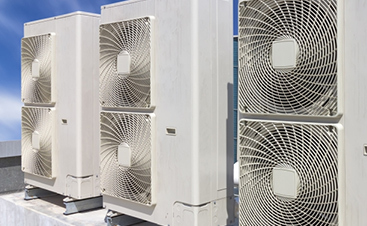 Because HVAC systems are so expensive to replace, you want to get proper installation so that it can be as long-lasting and efficient as possible over the course of its time in your home. Most people don’t realize how important ductwork design is in a building, but it plays a huge part in how efficient the HVAC system is. The ductwork should be designed to complement the heating and air conditioning so that the air can move freely throughout the building. Improperly designed ductwork can cause air to get trapped in the corners, where both hot and cool air lose their conditioning and become room temperature. Read more about our HVAC duct design right here! Contact Our Heating and Cooling Company Today! At JC & JC HVAC Mechanical Contractors, we’re ready to tackle any job that comes our way. No matter the size of the equipment, we can install or repair the HVAC components so that your air will be at the temperature you need. Contact us today to schedule an appointment!